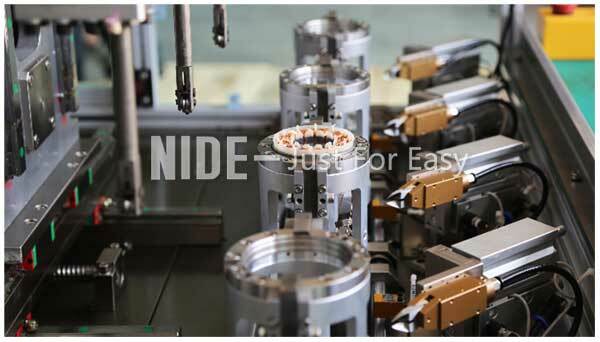 Ningbo Nide Mechanical Equipment Co., Ltd. can provide a variety of brushless motor stator winding machine, in which the needle winding machine adopts the mature needle winding technology, which can be used to wrap the brushless stator and the outer brushless outer rotor. 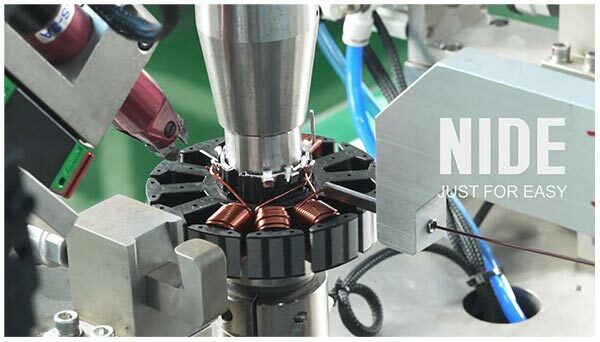 Brush motor, fan motor, bladeless fan motor, stepper motor, servo motor and other types of DC brushless motor stator winding. 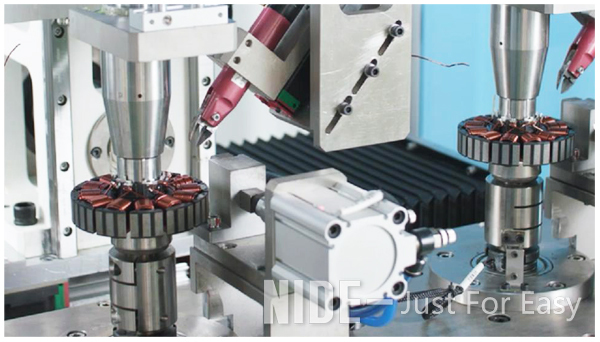 adopts a double-station design for multi-pole stator coil winding. which reduces the labor intensity and greatly improves the production efficiency. This motor rotor winding machine is designed for the Blower motor BLDC armature rotor coil winding. 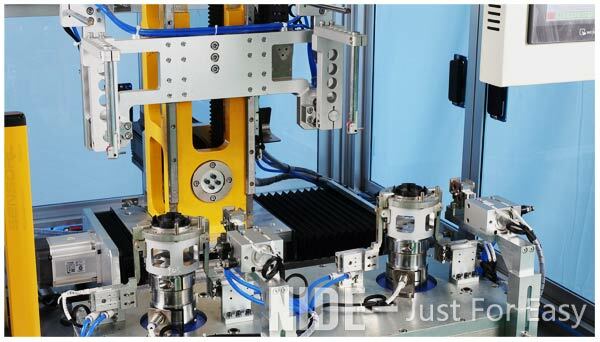 The automatic rotor winder adopts needle winding method. Each action cycle will wind 2 BLDC rotors at the same time, greatly improved production efficiency. And the motor needle winder equipped with the servo control system, able to diagnose the fault, count the output etc. auto skip slot and winding speed could be programmed, easy for operation and maintenance.